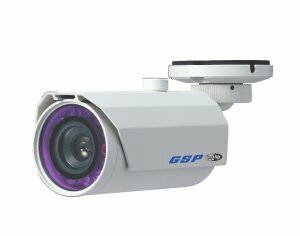 Using Infrared technology in security cameras is a very effective way of improving the cameras ability to be able to see in low or no light situations. IR LED’s may be built into a camera to support the cameras night vision capabilities. Infrared illuminators or arrays may also be used to give additional distance and increased area of coverage. Key considerations for using Infrared in video security are the effective distance of the IR LED’s being used and the reflectivity of objects in the scene. You need to find out for sure what the effective distance of the IR LED’s used in the camera will be when making your selection. It will help determine which camera will work for a given scene. Infrared light is absorbed by things like asphalt, grass, etc., while it is reflected by other objects. Only items that create a reflection will be seen by the camera.